As you will know if you're a regular reader I'm partial to a MAC lippy or five. I keep meaning to do a collection post but for the mean time I have a lotta yum yum for you today! I recently picked up Kelly Yum Yum from the latest Osbourne collection because I had to have something from it and that was all that was left. As you can probably tell I have one that is quite similar already, Candy Yum Yum. 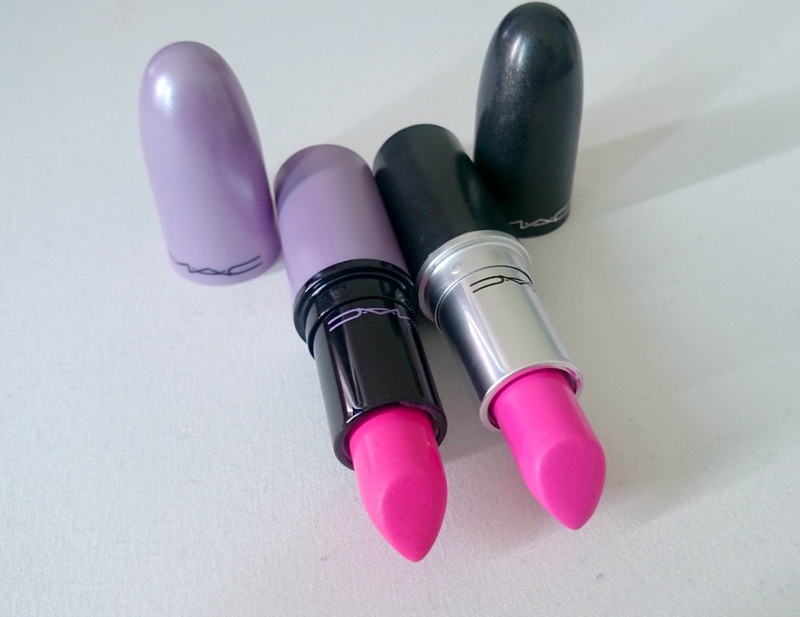 Candy Yum Yum is from MAC's permanent line and comes in a matte finish. It's a shocking pink and not for the faint hearted. This is as bold as they come! The matte range can be quite drying but this is slightly creamier than most. Kelly Yum Yum is a satin finish so even creamier and they both last for hours! No touch ups here! They are both SO similar but they do have slight differences, and I mean slight. Kelly Yum Yum is much warmer and a touch darker than Candy Yum Yum and I find it a little more wearable but that's it. Do I need both of these, probably not but I needed the lilac packaging. Terrible excuse right? Ooh!! I agree the Kelly Yum Yum definitely looks more wearable. I may have to add this to my wishlist. 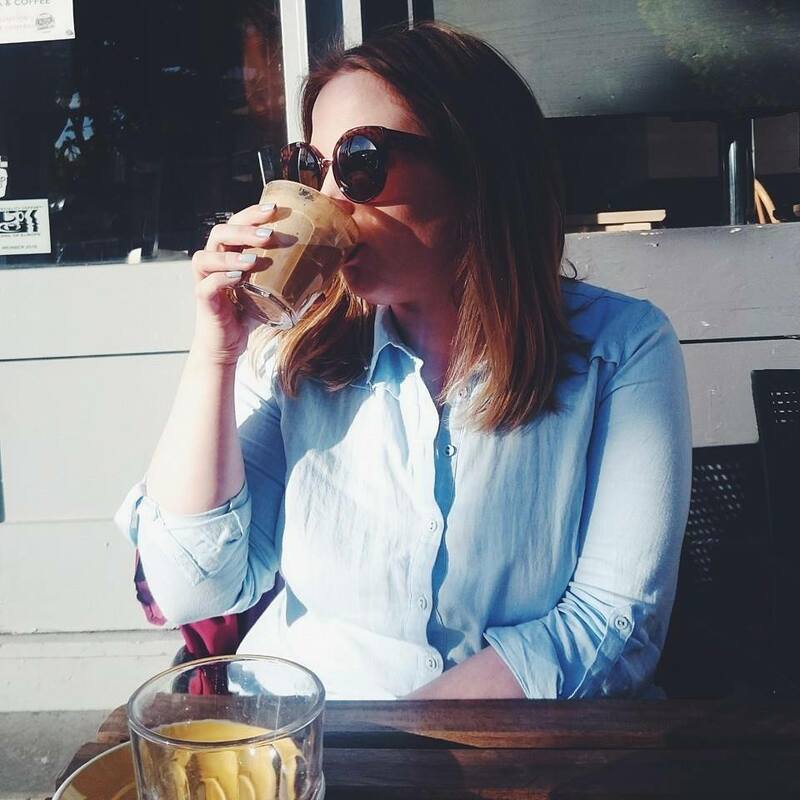 Lovely little review! 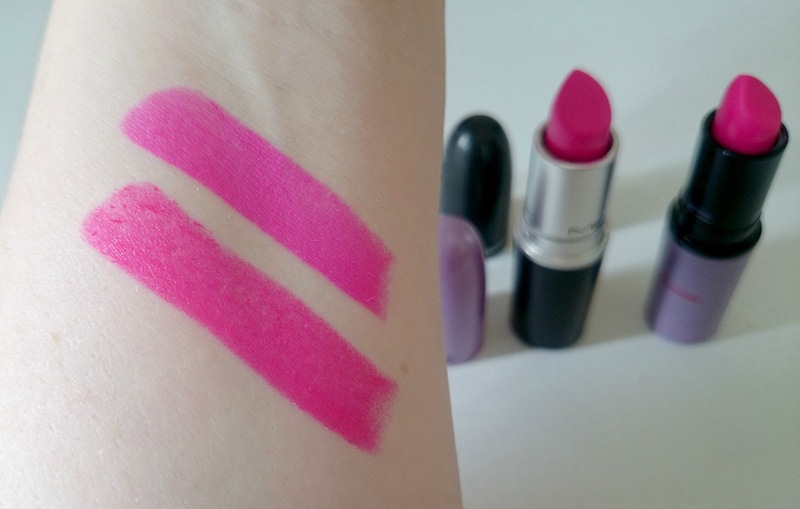 Love MAC lippes <3 So pigmented! I prefer the Kelly Yum Yum but they are both gorgeous! Ooh I really want to try one of these- I'm glad I stumbled across this comparison. I think the formula of Kelly Yum Yum would suit me better and the packaging is so pretty! 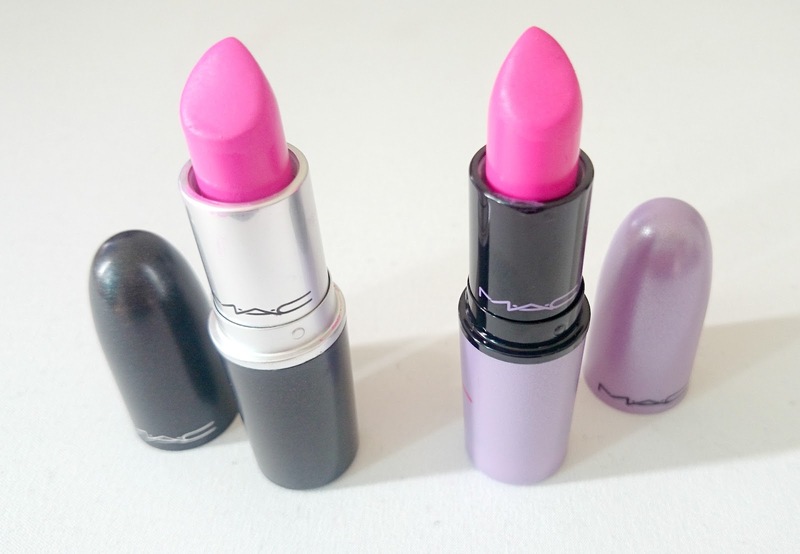 I'd love to see your MAC lipstick collection. I prefer Kelly ones because it is more wearable and the original candy yum yum looks terrible on me. Of course you needed to get the lilac packaging that is a perfect excuse. I've always eyed up candy yum yum but never been brave enough...that said I did go for All Fired Up which is quite similar but not as bright! oooh both of these look gorgeous! Love that you bought it almost just for the lilac packaging haha!! I love that you got this due to the lilac packaging - I'd totally do the same! There is definitely a difference in shade but it's subtle. I think Kelly Yum Yum is my favourite! I think I prefer Candy Yum Yum but Kelly Yum Yum would probably be more wearable and it has cute packaging!